Have you ever been in a situation where you connect your iPhone to a PC or MacBook, and it doesn’t show up on your iTunes? There are several reasons why you may want to use iTunes and being inaccessible could be a problem. Although it’s not too much of a problem, you could be frustrated because you may end up not doing what you planned. However, there is always a solution when you have an iPhone not showing up in iTunes. This article will explain the different ways you can go about it. Sometimes, the only solution we may need when we have iPhone not showing up in iTunes is just to troubleshoot. Troubleshooting is the most conventional method; although not effective, it’s enough to make some changes or detect problems. The problem could be as a result of an outdated iTunes or a wrong USB cable connection. 1 Install the Latest iTunes: Sometimes, the problem could be as a result of the iTunes on your PC or MacBook being outdated, i.e. an old version. The best thing to do is install the latest version. 2 Restart your iPhone and your PC: Basically, you may want to consider the problem could also be as a result of some current settings on your phone or PC. So, in order to make sure everything comes out successful, you could restart your iPhone and PC. 3 Check the USB cable: The USB cable is one other thing to look out for; the cable could be faulty or broken. 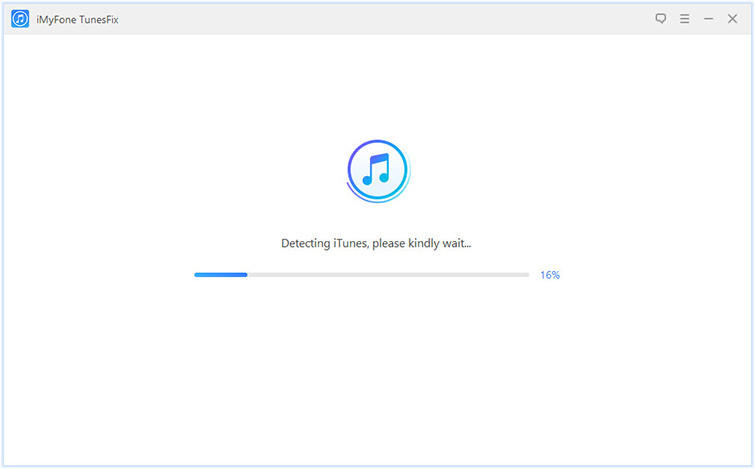 If your USB cable is in a good state and discoverable by your PC, then you are good to launch iTunes. 4 Disable Restrictions on iPhone: There are many times iPhone users make certain settings on their phones without considering the implications; check for restrictions and disable them immediately. When you have a problem of iPhone not showing up in iTunes, there is one easy and better option to consider, i.e. the use of a repair tool to fix the problem. This is when you are sure the problem isn’t from your USB cable. This repair tool is called iMyFone TunesFix which is an iTunes Fixer that tracks the problem with iTunes and repairs it. It is very effective and has a 100% performance in rectifying the problem. It can auto-detect and fix iTunes components issues easily. It helps you repair iTunes unknown errors in simple steps. It has two clean modes - Quick Clean and Deep Clean to help you clean iTunes. It will thoroughly remove iTunes and its related software components. Step 1:The first thing to do when fixing the iPhone-iTunes problem is to launch iMyFone TunesFix on your PC. When you do this, there is automatic detection of your iTunes and every component of it. Step 2: Choose one of the repair modes. Choose Repair iTunes Connect Issue here. 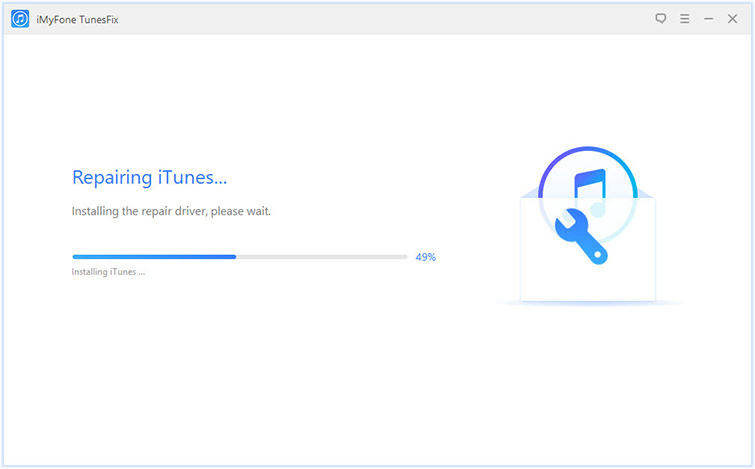 Step 3: Repair iTunes – Click “Repair” to let it start to repair your iTunes. Step 4: However, during the process, make sure there is a stable network connection to ensure repair. What Else Can iMyFone TunesFix Do for You? 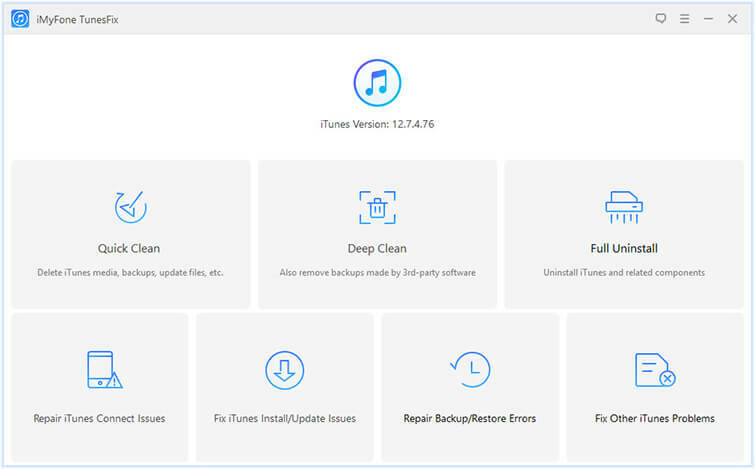 Fix iTunes Install or Update Issues: This is a part of repairing iTunes unknown errors where you have to choose a repair mode and you allow for repair. Repair Backup or Restore Errors: iMyFone TunesFix allows you to both repair backup and fix restore errors that may result on iTunes. 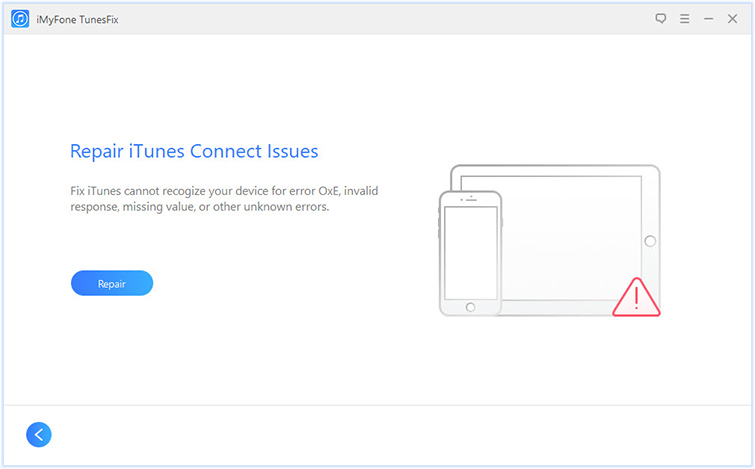 Fix other iTunes Problems: You can fix other iTunes problems you have no idea about using the repair tool. Clean and Full Uninstall: On iMyFone TunesFix home interface, you can choose an uninstall mode and proceed with cleaning and uninstalling iTunes. Now, you don’t have to worry anymore when you have an iPhone not showing up in iTunes because you have two different solutions explained above in detail. They are both simple but with different approaches. In conclusion, having the two methods reviewed, the use of a repair tool was better than the basic troubleshooting. The repair tool, iMyFone TunesFix is very effective and ensures iTunes is fixed and repaired completely. Sometimes, when we have this problem, troubleshooting may do little or less, but with the repair tool, errors are detected and repaired immediately.